How can teachers and parents ensure that children don’t forget the phonics they have been learning over the long summer holiday? Froggy Match-it could be the answer. At the end of term, one Primary teacher in Cork said that she felt the app was just right for parents to use during the holidays. She went on to say that our free writing sheets that accompany each level were ideal for parents to use over the summer. You can see what she said about Froggy Match-it here. So, teachers, why not recommend the app to the parents of children in your class? 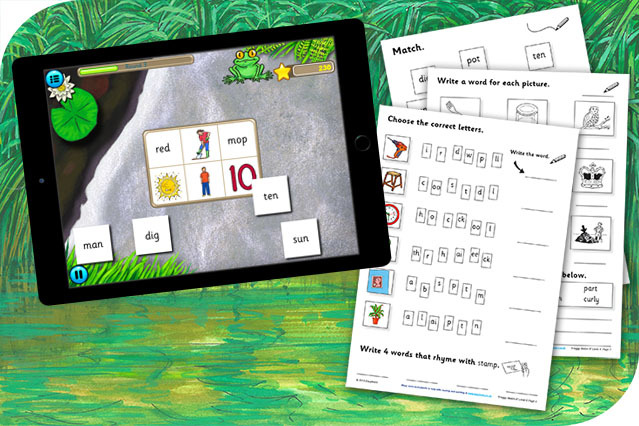 And parents: why not try the app and see how it ensures children are usefully occupied and keep up with phonics and writing? At just £3.99 the Froggy Match-it app is a small price to pay for such a big benefit.